Lens Description: Clear, high fidelity descriptive performance in a compact, lightweight form make this lens a perfect partner for X-M1. 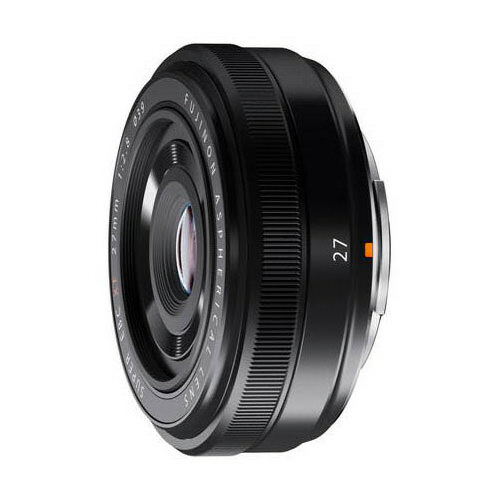 With a focal length of 41mm equivalent, about the same angle of view of the human eye, this lens is not only a superb snapshot choice, but also performs well in a variety of scenes from portraits and landscapes to architectural shots. Fleeting moments can\'t escape its high-speed, high-precision AF. Lightweight lens! A good combination with the Fuji X-E1. Fast auto focus although some photographers report that it is slow, mainly in low light/contrast condition. In my test the lens was unable to focus only in an extreme low light/contrast condition in which even in manual focus is very complicated. It’s more difficulty to find some filters for the filter thread of this lens (39mm). Excellent angle of view for Street Photography. In Astrophotography provide more exposure time due the short focal lenght. The maximum aperture of this lens is the limit acceptable for Astrophotography (f/2.8) because at least one f/Stop more closed (f/4) is necessary for avoid coma aberration and to decrease astigmatism in the stars, beside to increase the sharpness. In the maximum aperture (f/2.8) the brighter stars have an inflated aspect. In contrast, in the Street Photography the lens provide excelent sharpness even wide open. Excellent performance in chromatic aberration. I’m still testing this lens in Astrophotography because is very difficult focusing in infinity due the short focal lenght. Distorsion is well corrected in Architecture Photos.